The NHRA North Central Division along with Oakley Motorsports and Diamond Piston are proud to announce that they have extended their sponsorship of the North Central Divisions Top Dragster and Top Sportsman classes for 2019. 2018 marked the first season of the sponsorship for the Oakley Motorsports Top Sportsman and Top Dragster Classes. Phillip Oakley, owner of Oakley Motorsports could not be happier with the results of 2018. During this past season some of the quickest Top Dragster and Top Sportsman events were held at the North Central Divisions Lucas Oil Series, with competitors from all over the country attending events. The bar has been set for 2019 to be one of the most competitive seasons ever. And with the continuation of support from Oakley Motorsports and Diamond Pistons, the North Central Division should once again be the home of the quickest and fastest Top Dragster and Top Sportsman classes in the country. 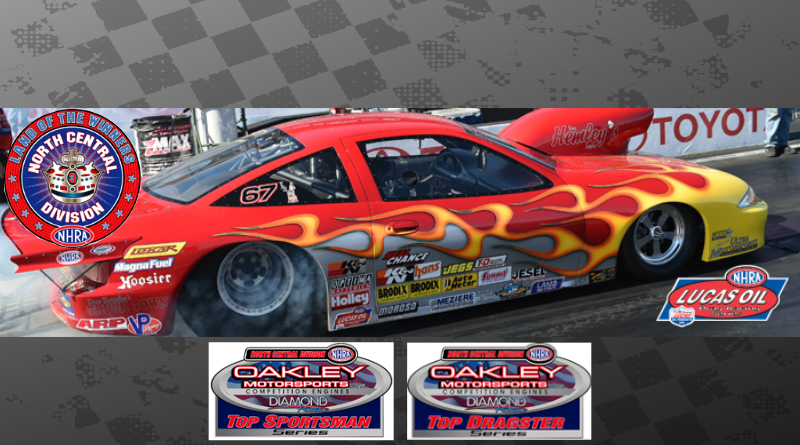 Oakley Motorsports is based in Ownesboro, Ky., and has been providing winning high-performance horsepower for Drag Racing, Circle Track, Tractor Pulling and Street Cars for over a decade. Phillip Oakley takes pride in every motor that leaves his shop. And the support given to the customers is second to none in the industry. He will take the time to make sure his customers reach their performance goals. When you combine the services level provided from Oakley Motorsports with quality of Diamond Pistons you have a winning combination. Proof of that is the 2018 Oakley Motorsports Top Dragster Champion Ed Dudley who used a Oakley Motorsports combination. The 2019 season will start in May at National Trail Raceway in Columbus, Ohio, and will have a total of 6 events as part of the Lucas Oil Drag Racing Series in the North Central Division. Other tracks include Summit Motorsports Park, Lucas Oil Raceway, Route 66 Raceway, Beech Bend Raceway and the final event will be at Gateway Motorsports Park. Please visit www.Oakleymotorsports.com and www.diamondracing.net along with Oakley Engine Performance on social media outlets for more information on products and services.